The neighborhood's newest coffee shop shines in a sleek, spacious Irving Ave. space. Highly-anticipated Walter’s Coffee Roastery is in soft opening mode and will be serving free espresso drinks to customers until their official opening. The interior is a freelancer’s paradise. 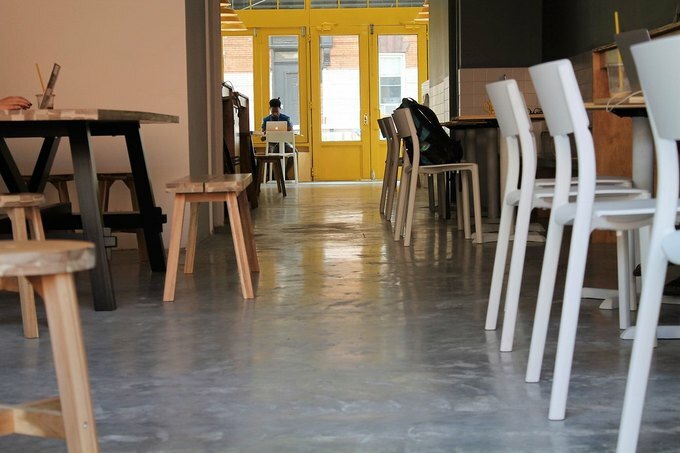 Large wooden tables make it a more comfortable sharing space than many other coffee shops in the neighborhood. Electric outlets conveniently line the walls (inside and out), and Kosan tells Bushwick Daily that he "chose this space because we want people to sit down and to not feel bothered for sitting too long.” Tables aren’t yet ready for the outdoor section, but customers are welcome to work on the wooden bench lining the perimeter of the exterior for now. The original plan was to roast at 65 Irving Avenue, but because the gas pressure was too low and it would have involved digging up the whole street to achieve better pressure, Kosan decided to outsource the roasting part to Red Hook coffee roasting facility Pulley Collective. 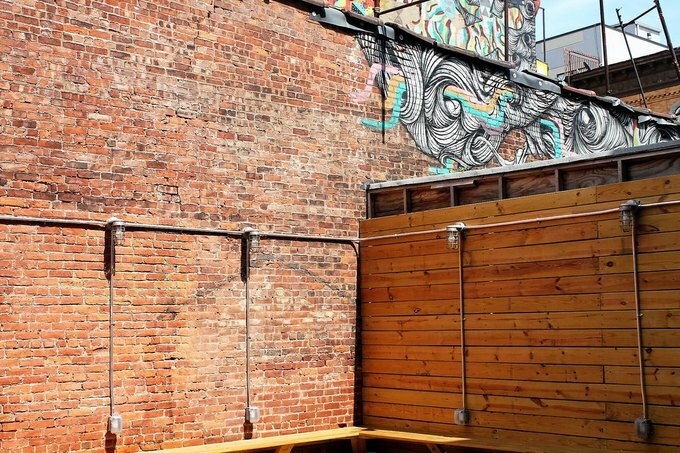 “We didn’t want our neighbors to be angry with us before we open[ed] up by digging up the beautiful streets of Bushwick so we decided not to do that," says Kosan. “Also we didn’t have the time and the money for that,” he smiles. Kosan, who is insistent upon Walter’s being Breaking Bad “inspired” and not “themed” has curated the coffee shop’s laboratory aesthetic. 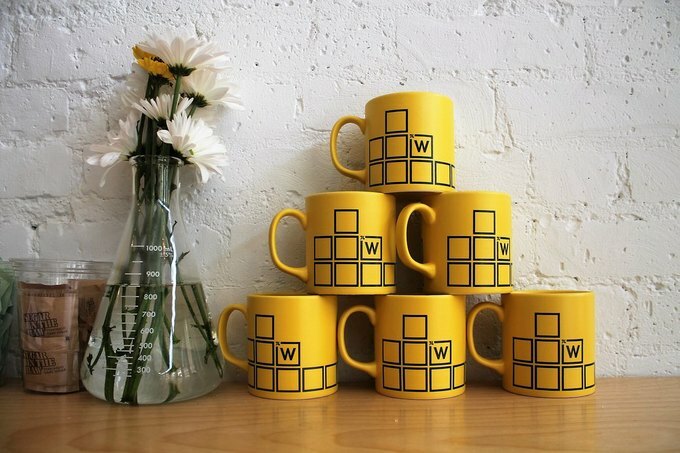 And for some people, a laboratory reminds them of Walter White’s alias. “People are asking for the WiFi and we say it’s (insert Breaking Bad reference) and they smile because they know,” says Kosan. “It connects bridges,” explains Kosan, touching base on how all the little subtleties within Walter’s Coffee culminate into an inside joke that we’re all invited to be part of. Beakers and test tubes help define the Breaking Bad references at Walter's, particularly the Japanese style cold brew up front. Its clear step-by-step process also serves to remind us that without chemistry, there would be no coffee. 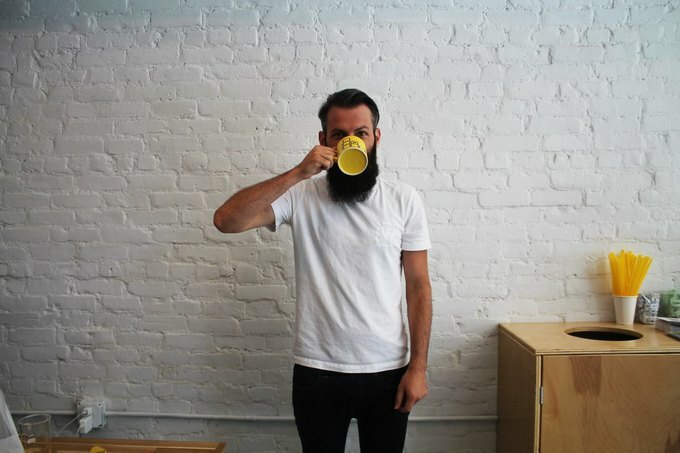 Let's not think about what life would be like without coffee, though. Expect prices to be just slightly more expensive than standard (though the phenomenal quality is most definitely worth it) with a cup of filter coffee priced at $3 and a latte going for $4. Currently Walter's espresso beans are a blend of Nicaraguan, Brazilian, and Ethiopian beans. Their single origins come from Ethiopia and Colombia. Bushwick Daily drank the blended espresso beans in the form of a delicious iced latte. 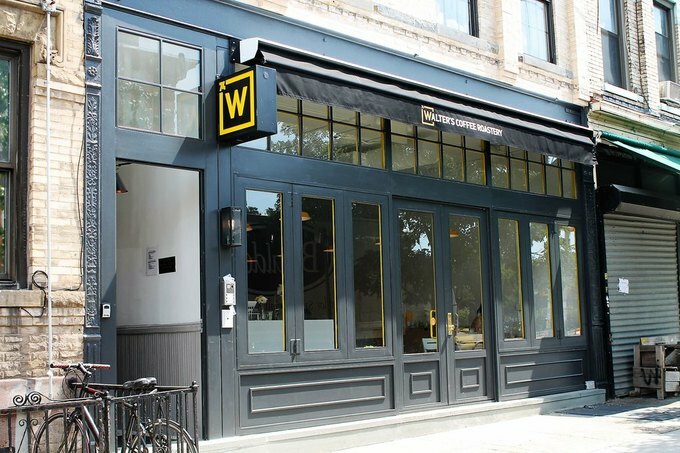 Walter's Coffee's Brooklyn location was originally poised to open ahead of the Istanbul outpost roughly four years ago. With another location set to open in Dubai very soon, Kosan has his eye on the LES, California, and would particularly like to hone in on college towns. "We don't want to be just one shop," reveals Kosan. Though Walter’s Coffee isn’t officially open, they do have WiFi. Bring your work to Walter’s! Follow the Walter's Coffee on Facebook, Instagram and Twitter.